A young man hacked to death his estranged wife and injured his mother-in-law and his sister-in-law’s three-year-old daughter with a sword on the premises of the family court here on Monday. The accused, Ramesh Kumbhar, 24, a resident of Sindurpank village in the district’s Maneswar block, tried to escape but was overpowered by people and lawyers. He was handed over to police. The incident took place around 9.30am in the waiting room of the court where the family of Sangita Choudhury, 19, the estranged wife of Ramesh, was waiting to be called for counselling. However, Sangita’s father Sudhan Choudhury, an owner of a small roadside eatery, was loitering in the court’s verandah when he saw Ramesh launch a murderous attack on his family. Panicked, he ran for safety and rushed to the nearby tehsil office. 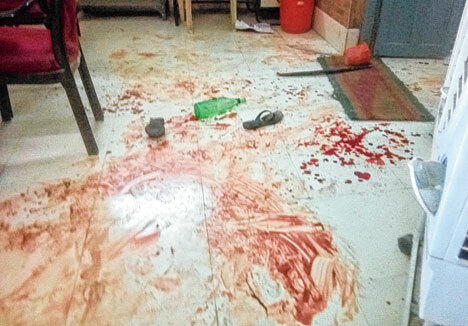 While Sangita, who was stabbed by Ramesh in the stomach, was declared brought dead at the district headquarters hospital, her mother Lalita Choudhury, 50, suffered injuries on her neck and her three-year-old niece Sibani was wounded in the hand. 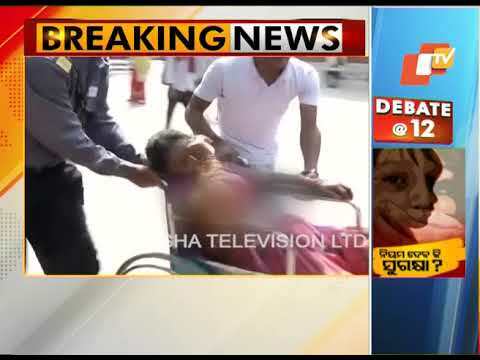 Both the injured were first taken to the district headquarters hospital, Sambalpur, and from there to Veer Surendra Sai Institute of Medical Science and Research (Vimsar) in Burla, where doctors stated their condition to be stable. Sources said Ramesh, a driver by profession, had an affair with Sangita, who also hailed from his village. Though both the families were against their marriage, the duo eloped and tied the nuptial knot about two years ago. After staying with Ramesh for five months, Sangita, whose family originally hails from Samastipur in Bihar, developed differences with him and preferred to stay at her father’s house. The couple had been living separately for some time. As her parents did not accept the marriage and she did not return to Ramesh’s house, the latter filed a case in the family court for reconciliation. In between, Sangita’s parents had arranged her marriage with a Samastipur boy, a move that irked Ramesh. Sangita’s parents on Monday came to the court for counselling on the orders of the court where the incident took place. The police said it was a planned attack and Ramesh had come with a sword. The police have seized the sword, said Town police station inspector-in-charge Pradeep Sahu. Advocate Nilima Panda, who was witness to the incident, said the attack was sudden and took everyone by surprise. No one apprehended that such an incident could take place on the court premises, Panda said.